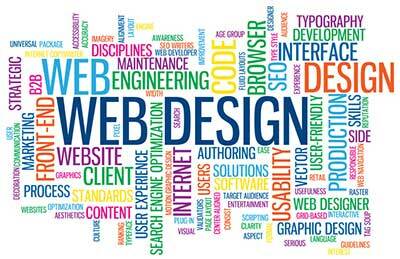 There are a few terms which you may encounter when looking into the area of web design and hosting. To make things a little less confusing, we have devised a short glossary of the terms you are most likely to come across, as well as their meanings or definitions. If you have any other enquiries regarding web design and hosting, please do not hesitate to contact us at Trowbridge Web Design. Having an enhanced listing on trowbridgebusinessweb.co.uk or any of local online directories insures that your website is now achieving a strong backlink to your own site which is good for search engine optimisation as we have a serious amount of back links ourselves which have been built up over the years. Backlink – A link on another website that leads to your website. This can create more traffic to your website and higher rankings on popular search engines. Browser – This is what you call a computer program which you use to view internet web pages, aswell as interacting with them. Some of the most popular browsers on modern computers, for example, are Firefox or Internet Explorer 8. CDATA – The name for text within a document which shouldn’t be parsed by the XML parser. CSS – A style of coding used when creating a website. It stands for Cascading Style Sheets. Domain Name – This is the string of numbers or letters that you use to represent the location of your website. For example, that of Trowbridge Business Web’s online directory is found at www.trowbridgebusinessweb.co.uk. Embedded Style – this is a form of CSS (Definition found above), which is written at the head of an XHTML document. HTML – Another type of coding used to write and create web pages. It stands for Hypertext Markup Language. Hyperlink – When you can use an image or a piece of text which, when clicked on, leads the person interacting with the site to another document or website. Image Map – A clear image which can be placed ontop of an existing image or space, enabling that area to become clickable or interactive. JPEG – A format used to save all kinds of different images. Best suited to images which contain a lot of different colours. Meta Data – This is what you call data that has been written about other data. Pixels – Pixels are the tiny dots on a computer monitor, which display an image when several are used to represent different portions of the image at once. RSS – Rich Site Summary or Really Simple Sindication. Subdomain – This is a part of a domain name which is more specific. It is used to divide up web domains, for example into different pages. Tag – This refers to the characters which indicate both the start or even the end of a particular element. Web Page – This is a document written in HTML, to be viewed on the internet, in a web browser. Font – The size, weight, family and do on of a piece of text. For example, you can have text written in Times New Roman, or Comic Sans, in Italics, Bold, Underlined and in a variety of different sizes.